The work typically performed by workers with university degrees is more varied than is often assumed, according to a new study by a City, University of London academic. 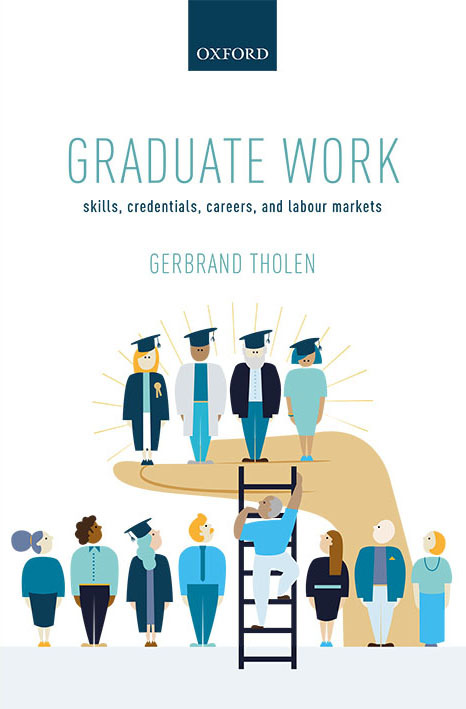 Dr Gerbrand Tholen says graduate work tends to be understood as “relatively high-status, autonomous, high-skilled, knowledge-intense and complex”, but his research shows this is far from always the case. The City academic’s new book, Graduate Work; Skills, Credentials, Careers, and Labour Markets, published by Oxford University Press, explains the results of a three-year study, exploring case studies of four graduate occupations: lab scientists, software engineers, financial analysists and press officers. Based on interview data with workers in the four occupations as well as employers, recruiters, higher education representatives, the book presents an in-depth investigation of work, skills, career, recruitment and selection in these four occupations. Dr Tholen, a Senior Lecturer in Sociology, says the expansion of higher education is one of the most important changes to affect western labour markets, with more than a third of British workers now holding degrees. He argues that as higher education has expanded, so has the graduate labour market and the work that graduates perform. However, he says there is very little clarity about how we understand concepts like graduate occupations, graduate skills and the role of education within work. The research shows that the role of education within the work of graduates is not necessarily high. Although the skills developed within higher education tend to be seen as useful by graduate workers, Dr Tholen says that in no sense do these dominate the range of skills needed to perform their jobs. Also, access to work, job performance, and career advancement are not necessarily driven by university qualifications and skills associated with higher education. The study also found that what counts as graduate work remains contested and under constant reinterpretation and re-negotiation. Dr Tholen, of the Department of Sociology, argues the high proportion of graduates in today’s workforce has brought with it growing concerns about, as well as misunderstanding of, what jobs graduates occupy, how they utilise their skills, and what the role of education is within graduate work and the competition for jobs. “The book begins to explore how and to what extent those workers with university degrees are defined by their educational experiences, status and qualifications,” he said. Graduate Work examines some of the assumptions placed on graduate work, jobs, skills and careers and provides valuable insights into how researchers can understand the meaning of graduate work within a rapidly changing economic, technological and organisational context.